This detail comes from a much more thorough post at BibliOdyssey containing Zoological Atlas pages that are a treat for the eyes. 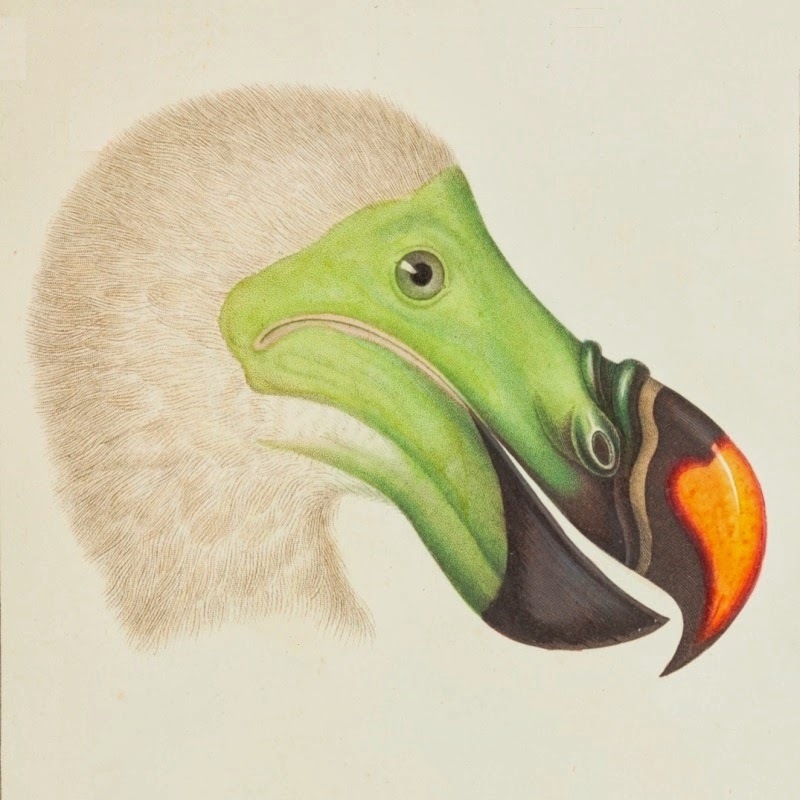 I'm sad there's no chance of ever seeing a Dodo in real life but grateful for the images. Proof that dinosaurs walk among us.